Simple flavor. Suits with bread and Western snacks as well. Bancha made after gathering the first plucked tea. 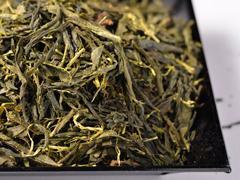 It is appropriate Bancha that has herbaceous scent and plain taste. A sign of relief. It suite with bread and Western sweets like chocolate cakes.